When you suffer with anxiety it can feel like you have too many emotions, you experience things a lot more deeply than other people do. Feelings of embarrassment stay with you for hours and hours, your feelings are easily hurt and negative comments will go round in your mind for days after they were hastily said. It’s almost as if you have no padding against the sometimes harsh outside world and so things affect you a lot more. Although learning to live with these traits is not an easy thing to master it is possible! Plus it’s important to look at the flip side too. Being sensitive and emotional usually means you’re incredibly kind, thoughtful, creative and empathetic. I’m the kind of person who takes a lot of joy in surprising someone with the perfect gift, which I would have put a great deal of thought and care into. I remember everything, and while that can be tough it’s also a blessing, it means I really understand people and can read them incredibly well. I’ll give people the benefit of the doubt instead of thinking the worst, as I know there’s probably something deeper going on that makes them act badly. Being too emotional isn’t a negative thing, there’s no such thing as too much emotion. We instead need to learn how to manage our emotions and not take offence too easily. We need to be aware that if someone hurts us with a comment or action it’s usually not to do with us, but that person trying to deal with their own issues and insecurities. Hurt people hurt people, so if someone has hurt your feelings 99% of the time it’s because they are hurting themselves and they don’t know how to process it. When you learn to really accept this as truth it can make your approach to people much more sympathetic. You’ll be able to look at the people that upset you with compassion instead of anger, hurt and upset. Compassion leads to kindness and positivity and these are the feelings and emotions that we want to encourage. Anger only leads to more anger, hurt to more hurt. In fact studies show that negative thinking can actually destroy brain cells where as positive thinking pushes the chemistry of your brain in a positive direction and thus creates a more optimistic mindset! 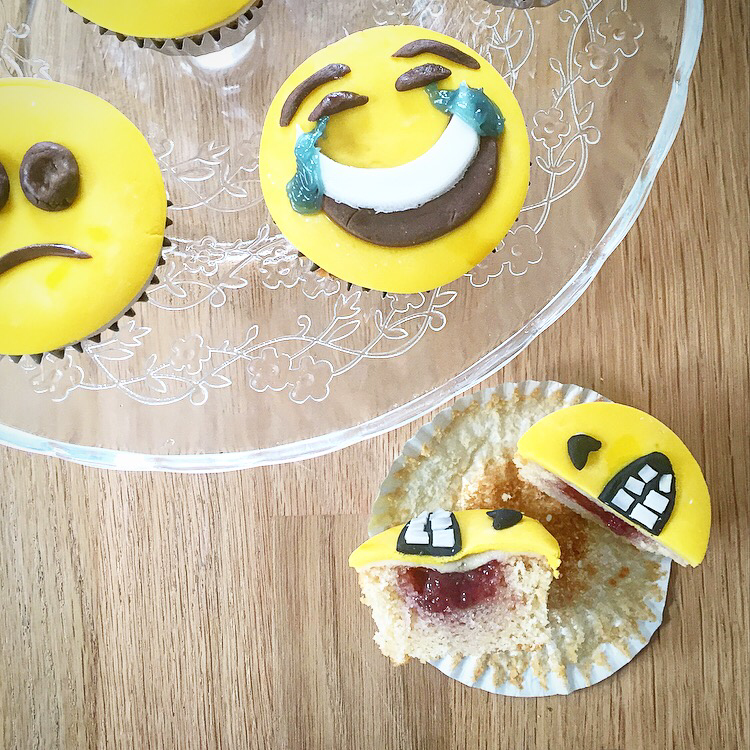 So here’s a recipe for my Cherry Bakewell Emoji Cupcakes, because like shoes you can never have too many emotions! 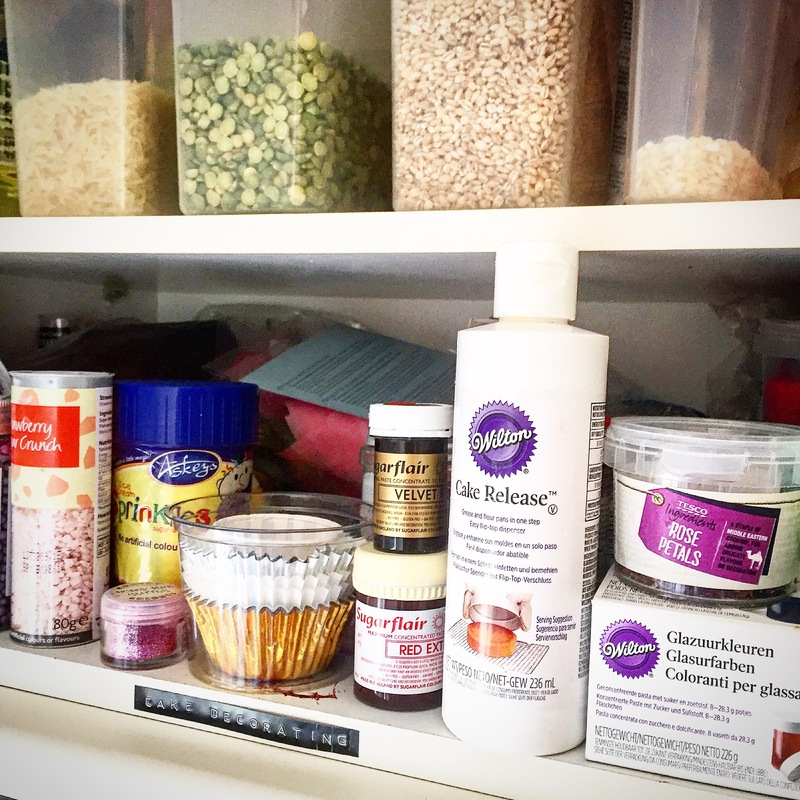 I got the coloured icing from Hobby craft but it’s also available in larger supermarkets, Lakeland and online. 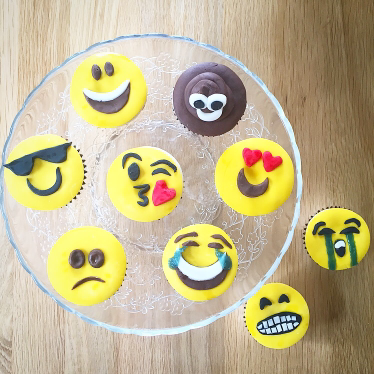 You can experiment with your favourite emojis, I choose a selection of my ones I like the most. 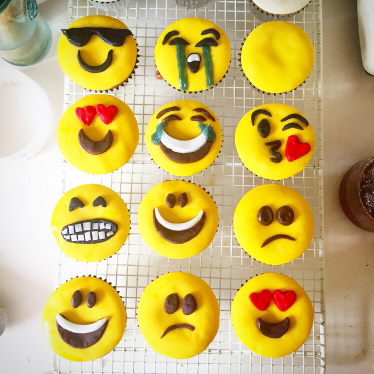 Enjoy some mindful baking and share your emotions with others! 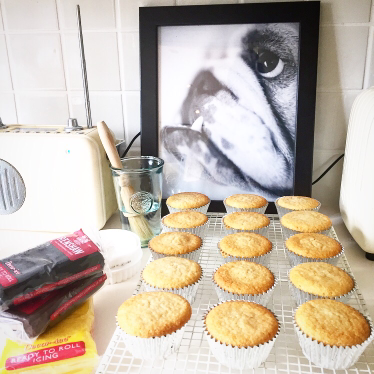 Annoyingly this is exactly the right amount for 15 cupcakes, if you don’t have two muffin tins then you can just make 12 but don’t fill the cupcake papers up all the way to the top, they will overflow and wont be easy to decorate. Just discard the extra mixture instead. 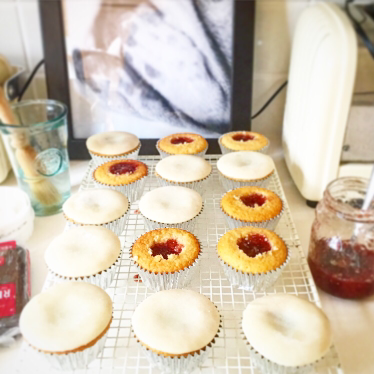 Heat oven to 180C/160C fan/gas 4 and line a 12-hole muffin tin and 3 holes of another muffin tin with cupcake cases. Mix the flour, almonds, baking powder and sugar together in a large bowl. Beat the almond extract and eggs into the yogurt, then tip this into the dry ingredients with the butter. Whisk together until lump-free, then divide between the cases, no more than 3/4’s full. Bake for 20-22 minutes until a skewer poked in comes out clean. Cool on a wire rack. 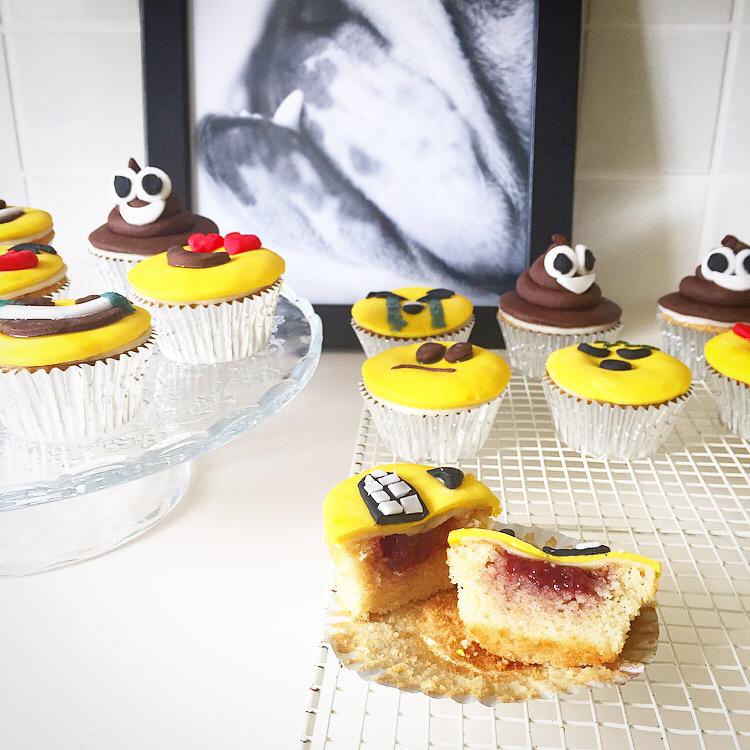 Use a melon baller to scoop a holes out of the middle of each of the cupcakes (these can be eaten or discarded). 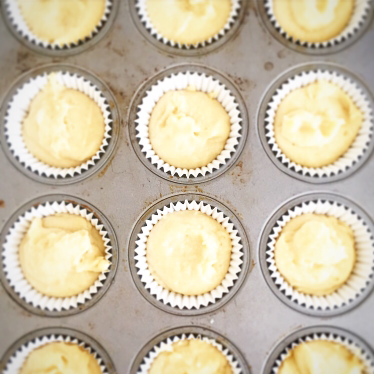 Spoon jam into the holes until level with the tops of the cakes. 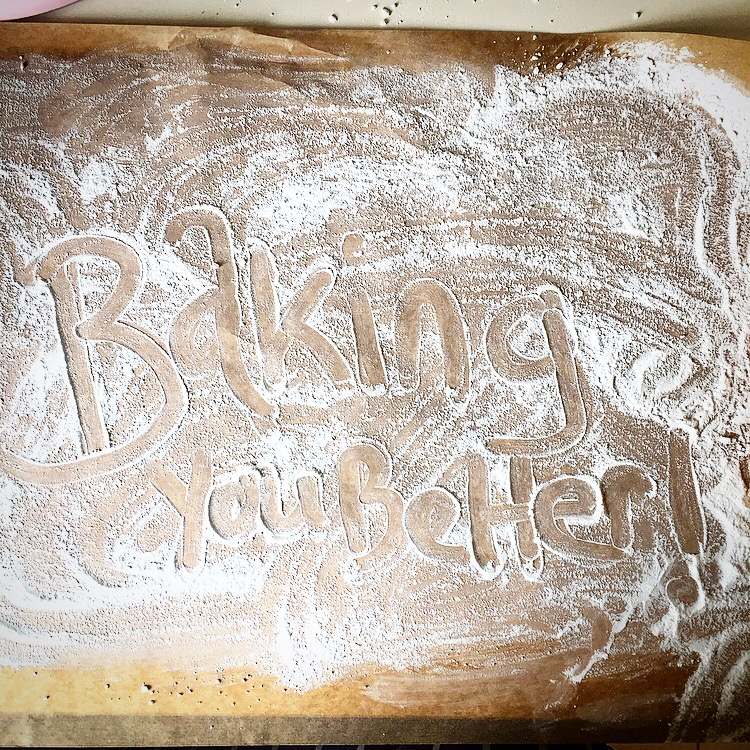 Roll out the marzipan on a surface dusted with a little icing sugar, to about 2-3mm thick. Using a 6cm round biscuit cutter, stamp out 12 circles, re-rolling and stamping trimmings if you’re making the full amount of cakes. 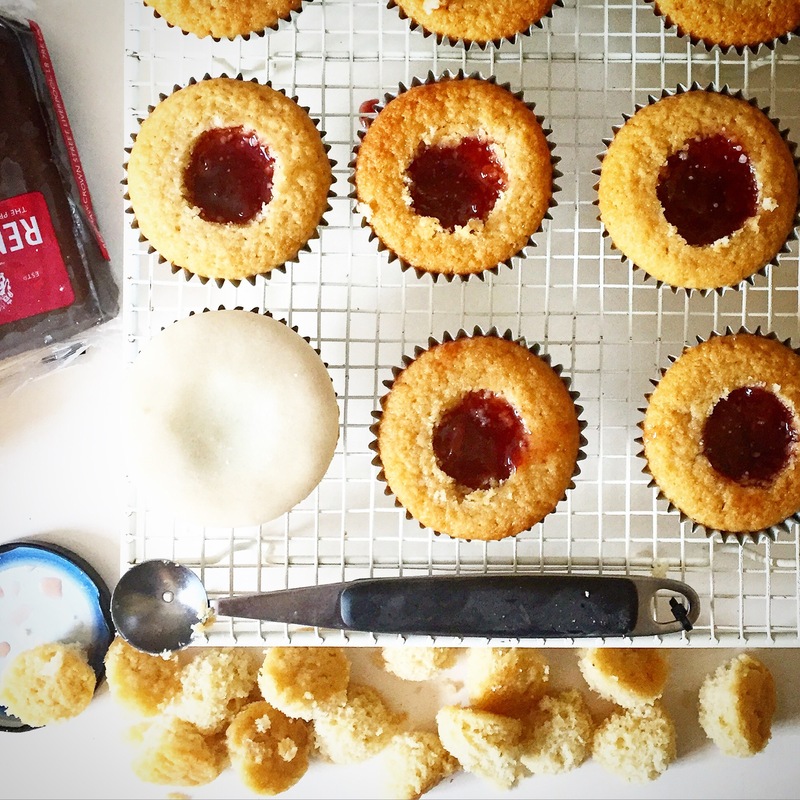 Brush the circles with a little water and stick onto the tops of each cake. 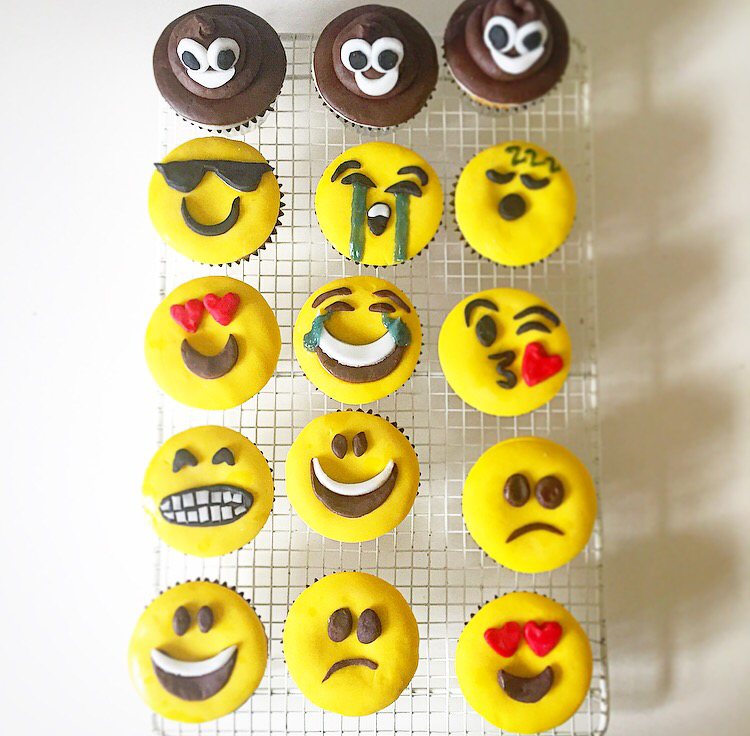 You can now be creative with the emojis you want to try out. 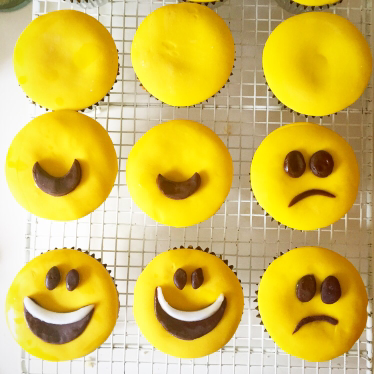 For the faces roll out the yellow icing on a surface dusted with a little icing sugar, to about the thickness of a £1 coin. Using a 6cm round biscuit cutter, stamp out 12 circles, re-rolling and stamping trimmings if you’re making the full amount of cakes. 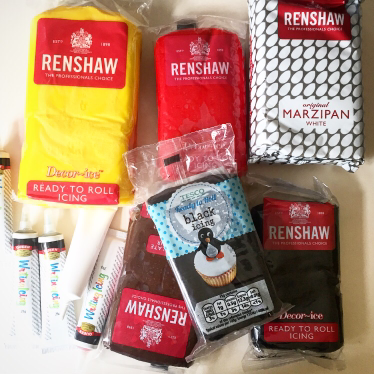 Brush the circles with a little water and stick onto the tops of each layer of marzipan. 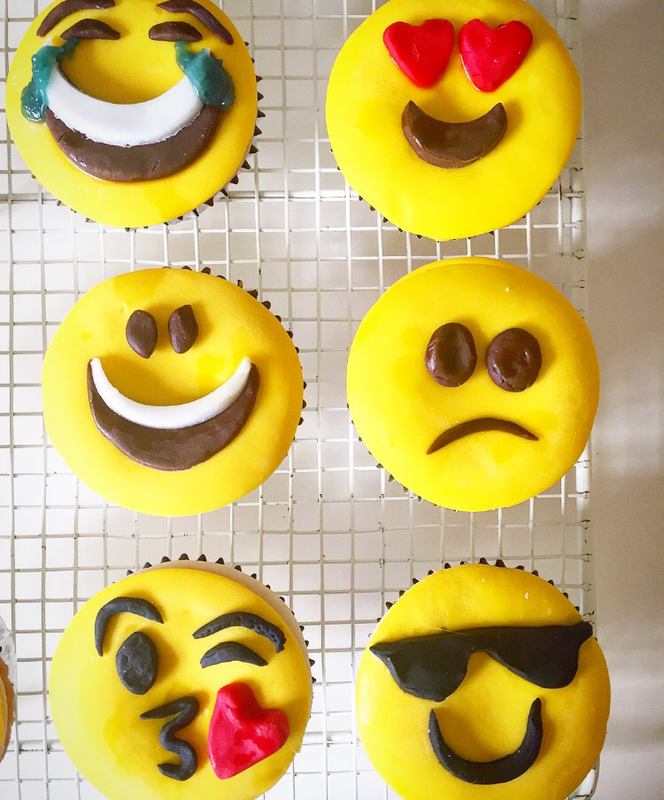 Use the black and white to makes eyes and mouths, make the hearts by hand or using a cutter and cut the sunglasses out of rolled out black icing. Use a clean damp cotton bud to stick them to the faces. 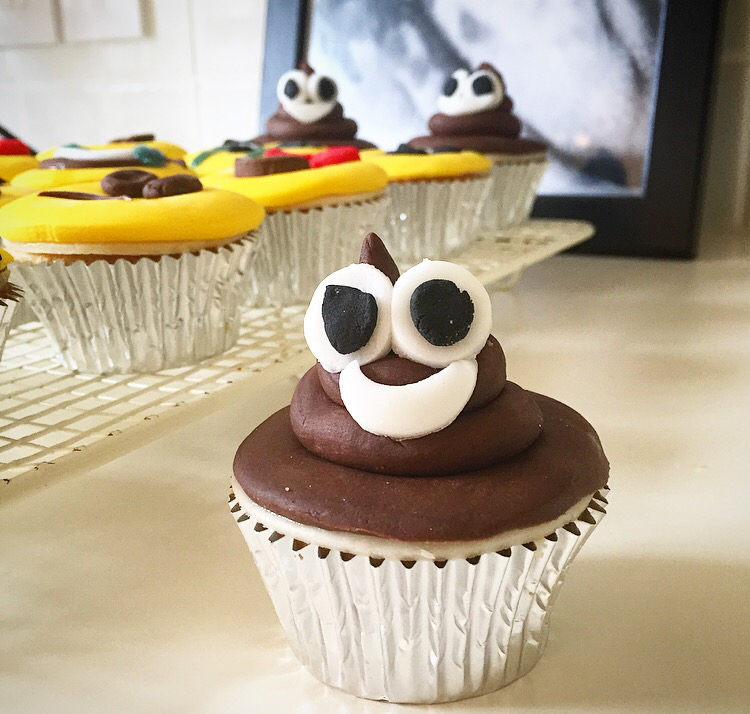 For the poo emojis roll out a little of the brown icing on a a surface dusted with a little icing sugar, to about 2-3mm thick. 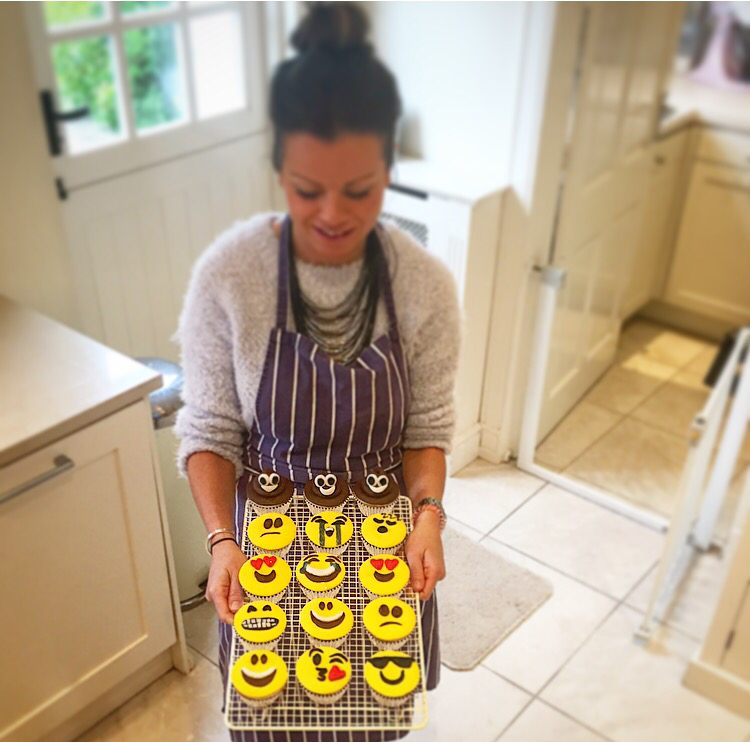 Using a 6cm round biscuit cutter, stamp out 3 circles. 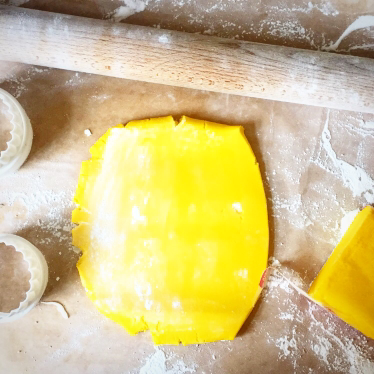 Brush the circles with a little water and stick onto the tops of each layer of marzipan. Divide the rest of the brown icing into 3 sausages. 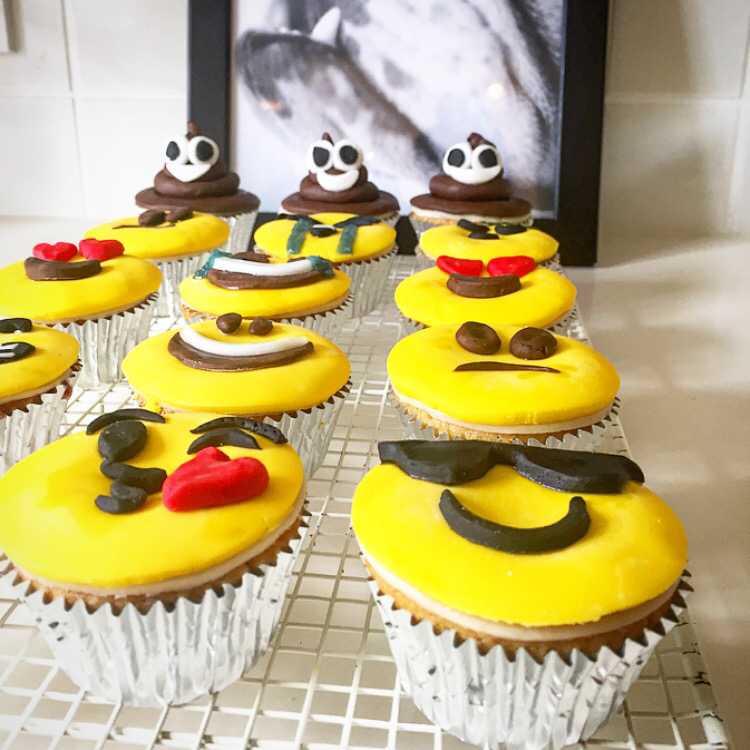 Roll each one round to create a mr.whippy poo, put onto each cake. Cut out white circles for eyes and half circles for mouths, use a little water to stick them to the poos. 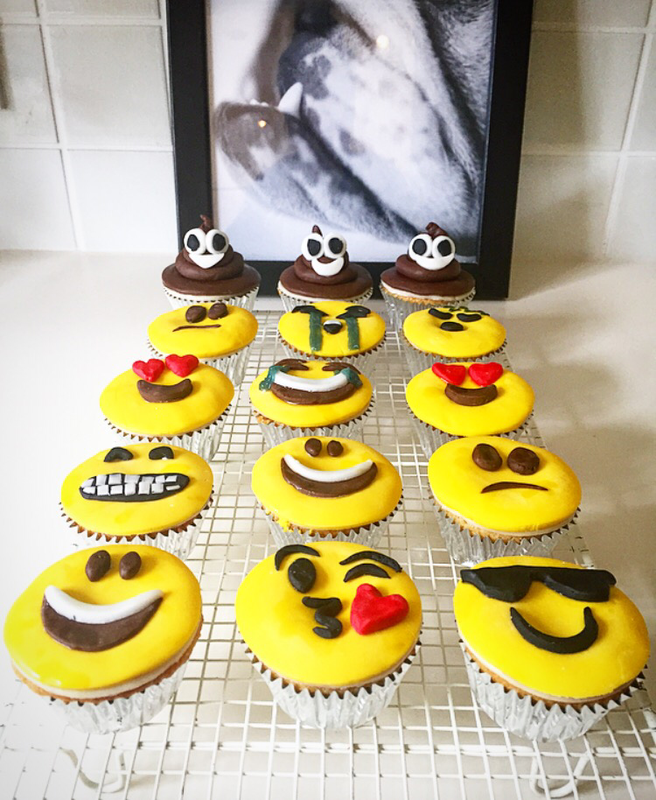 Have a go at these for National Emoji Day!